This is Purple Flash new recording , I think i'm in love with you. 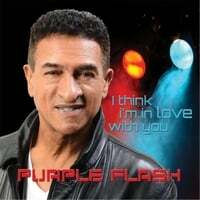 Purple Flash international artist who as been recording since 1984 with such hits as , WE CAN MAKE IT and CREME SOUFLEE now adapts to the new era of music , a great dance house song. you can listen to other Purple Flash songs , by tuning in on jango.com Purple Flash radio and follow is info on the same radio page , videos , photos and more.